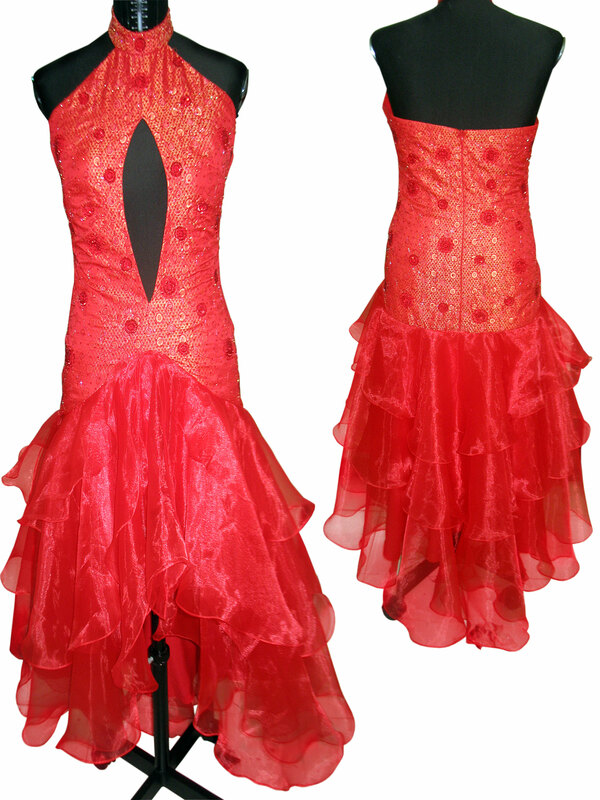 Create your own fashion statement wearing this beautiful evening dress. A classy dress for a perfect hostess. It features a halter neck design wit an eye catchy midriff. It also includes a sequined bodice. The enticing flare of the ruffled pattern adds feminity to the dress. The dress is fully lined.